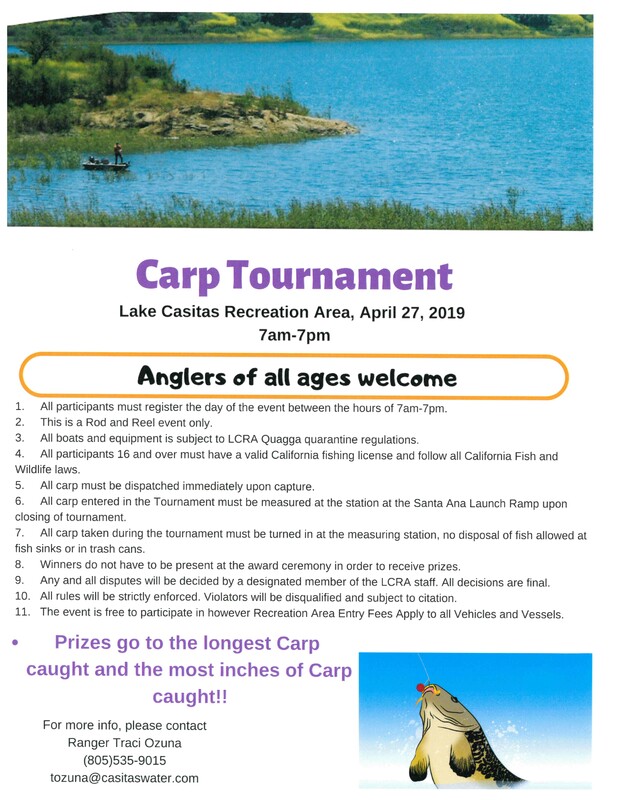 Lake Casitas is one of the premier fishing lakes in the region and is known for its "world class" bass fishing. Four of the 10 largest bass have been caught at Lake Casitas. In addition to largemouth bass, the lake is filled with rainbow trout, crappie, red-ear sunfish, bluegill and channel catfish. Record fish in all categories have been caught throughout the years. Night fishing until 11 pm from the shorelines is held on selected weekends when the moon is full and weather permits. To schedule a boat inspection appointment please email boatinspection@casitaswater.com. Send us your request for an inspection along with your phone number so we can speak to you and explain the process in detail. CA Department of Fish & Wildlife fish limits apply. Take Me Fishing has tons of useful information about California boating and fishing. Program Parameters: The Bowfishing for Carp Program is subject to change. Bowfishing, which is allowed for carp only, no other species, is authorized by the California Department of Fish and Wildlife. It requires a valid fishing permit from DFG and all DFG regulations apply. 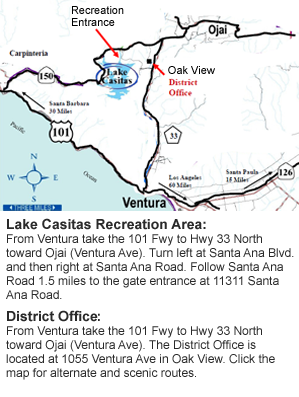 Additionally, all Lake Casitas Recreation Area ordinances and regulations must be followed. Program rules are outlined in the LCRA Bowfishing Only for Carp Permit Application and Agreement which includes a liability release and an acknowledged understanding of the parameters of the program. With a signed Application and Agreement, each person can then be issued a Daily Permit containing a carp fishing boundary map. A Daily Permit will be issued only after 8 a.m. and after confirmation by Park Staff that a completed, signed Application and Agreement is on file. Once issued, the daily bright orange permit is required to be visible at all times.